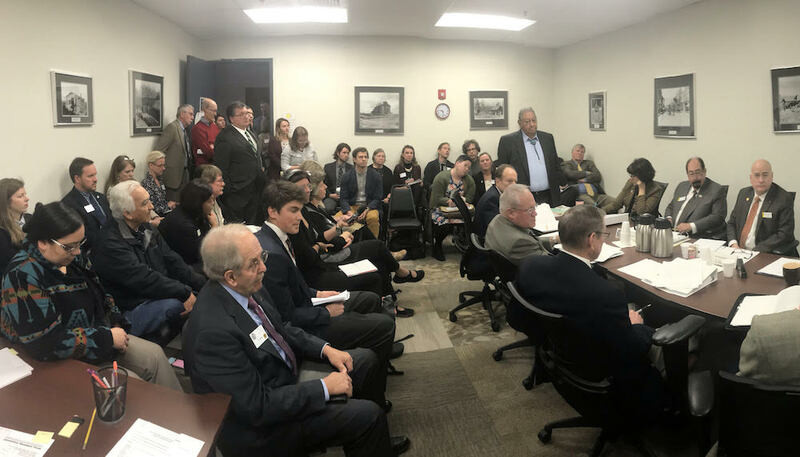 UPDATE: The House Minerals, Business, and Economic Development Committee voted 5-4 to advance the bill to the House floor Friday, Feb. 1, after making significant amendments to it. A brief description of the amendments is appended at the end of this story – Ed. The American Fuel and Petrochemical Manufacturers, brought the bill to Micheli’s law firm Holland & Hart last year, Micheli told WyoFile. The law firm subsequently asked then-Sen. Leland Christensen (R-Alta) and other lawmakers to introduce it last year. The measure sparked a fierce debate between industry advocates and tribal advocates and environmentalists. Some private landowners, including several legislators, joined the debate last year, saying its broad language might snare them inadvertently and saddle them with fines and criminal records. The debate is stretching now into its second year. Both Holly Frontier and Sinclair Oil Company, which operate large refineries in Wyoming, are members of the association represented by Holland & Hart. 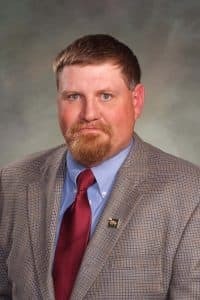 Micheli, a lobbyist, lawyer and former chairman of the Wyoming Republican Party, spoke to WyoFile following a committee hearing Monday morning. After taking lengthy testimony on many aspects of the issue, members of the House Minerals, Business and Economic Development Committee delayed voting on the measure until Friday. Though bill sponsor Rep. Lloyd Larsen (R-Lander) argued that House Bill 10 – Crimes against critical infrastructure, had been reworked to eliminate the concerns of landowners, Rep. Aaron Clausen (R-Douglas) reiterated his concerns that it would give energy companies a legal cudgel in disputes with ranchers. A private security contractor who worked at the protests of the Dakota Access Pipeline in 2017 told lawmakers Wyoming should pass the legislation if the state wants to avoid its own international protest incident. Activists and community leaders from the Wind River Indian Reservation also testified in force against the bill. The testimony followed a Jan. 14 resolution from the Northern Arapaho Business Council opposing the bill. A resolution passed last week by the Wind River Inter-Tribal Council which is comprised of both Northern Arapaho and Eastern Shoshone tribal leaders did not directly oppose the bill but condemned threats to free speech and celebrated a history of Native American protest. Micheli, along with John Brown, a lobbyist for the Wyoming Pipeline Association, raised a new wrinkle into the long-running debate. In October of last year, someone broke into a pipeline facility in Laramie County and turned a valve, the lobbyists said. The incident had not been reported publicly. Energy industry representatives said that was out of concern that publicity could inspire more crimes. On Oct. 31, the pipeline company Suncor reported to the Laramie County Sheriff’s Department that a person or persons jumped a fence after trying and failing to get through a locked gate. The person or persons then cut through a chain to enable them to turn the valve on the pipeline, shutting it off, according to Undersheriff Rich Hillegas. In the company’s pipeline control room, a technician noticed a rise in pressure upstream of the closed valve and shut down the rest of the pipeline, said John Brown with the Wyoming Pipeline Association. Had the pipeline not been shut down, the build up in pressure could potentially have caused the pipe to burst, Brown argued. 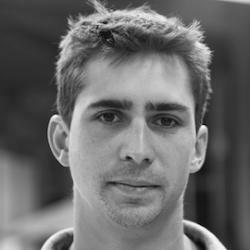 Brown compared it to more famous “valve-turner” incidents where activists shut down pipelines across the northern United States in October 2016. Those activists alerted pipeline companies before they turned the valves, and awaited arrests. They were seeking court trials where they could make a “necessity defense” that climate change necessitated immediate and urgent action. If they catch them, the sheriff’s department will charge the culprits with criminal trespass and destruction of property, Hillegas said. Under existing Wyoming law, the destruction of property charge would be a misdemeanor if the damage done amounted to less than $1,000. Punishment for a misdemeanor includes up to six months in prison and up to a $750 fine. If the damage was $1,000 or more, the crime would be a felony, with a possible $10,000 fine and 10-year prison sentence. Trespass is a misdemeanor, with up to six months in prison and a $750 fine. Under the critical infrastructure bill, the punishment for “impeding” critical infrastructure is similar to existing punishments for destruction of property, but the fine for a misdemeanor is $1,000, not $750. The key difference, however, is the addition of the phrase “economic loss” to how damage would be calculated. Impeding critical infrastructure becomes a felony with a 10-year jail sentence if damage or economic loss are greater than $1,000. Economic loss would be calculated using energy companies’ lost revenue. House Bill 10 also creates a new crime “critical infrastructure trespass,” which is a misdemeanor with punishment of up to one year in jail and a $1,000 fine. Though HB10 creates new ways to charge someone with trespassing on critical infrastructure, sheriff’s investigators are not without tools in current law. They determined that whoever turned the Suncor valve had committed criminal trespass because there was a posted sign indicating the area was private property, Hillegas said. The company is aware of Holland & Hart’s efforts to pass the critical infrastructure bill, said Lisha Burnett, Suncor director of stakeholder relations. “Any reasonable measures, including legislative priorities, which advance the safety and security of critical infrastructure, as well as the community, are very important to Suncor,” Suncor spokesman Michael Lawrence wrote in a statement. Suncor did not answer questions about the ultimate cost of the October 2018 incident or whether the company suspected it was done for activist reasons. “For reasons of security we are not providing details on the specific incident,” Lawrence wrote. Brown compared the Suncor incident to those that occurred in Montana, Washington, North Dakota and Minnesota. “This is basically what happened except the guy didn’t call in,” Brown said. Opponents of the bill criticized the energy advocates for only bringing the incident to light now. “I don’t know if anyone was protesting or what that may have been,” said Burnett Whiteplume, an employee of the Northern Arapaho Tribe. Larry Wolfe, a former Holland & Hart attorney and longtime energy lawyer, criticized proponents for overstating the growth of “valve turning” incidents. There were 7.6 million property crimes committed in 2017, according to FBI data. The 18 crimes committed represent an insignificant fraction of those crimes, Wolfe said. Also present at the meeting was a former North Dakota police officer, who had retired and started a private contracting company to serve the energy industry. Steve Lundin began his company, 10-Code LLC, because he saw a need for the energy industry to build enforcement beyond the state, he said. “There was a big disparity between the needs and requirements of the energy sector in North Dakota and what law enforcement could provide,” Lundin said. His company worked on the Standing Rock Indian Reservation during the Dakota Access Pipeline protests, he told the committee. If law enforcement had stronger legislation against protests at the start of that confrontation, they could have prevented it from growing into the international incident it became, Lundin said. 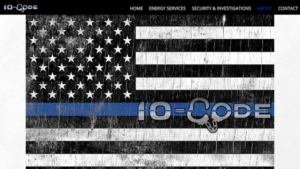 A screenshot from the website for 10-Code LLC, a private security company that works for energy concerns, including at the pipeline protests at the Standing Rock Indian Reservation. Private security companies have been criticized for actions during the protests and questions have been raised by the investigate news outlet The Intercept about the melding of private security companies with state law enforcement. Lundin lobbied for a critical infrastructure measure in Oklahoma, which passed the legislation in 2017. Two bill opponents pushed back against the suggestion of better managed protests. 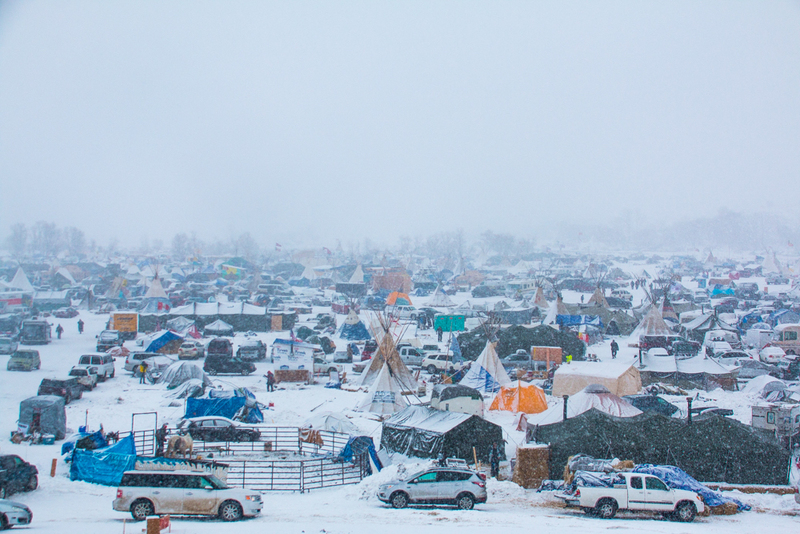 The protests at Standing Rock focused attention on poor permitting practices by the United States Army Corps of Engineers, Oldman said. It highlighted a history of Native American protest “in the struggle for sovereignty, dignity and justice.” The statement named events from Wounded Knee — without specifying between an 1890 massacre and a 1973 occupation by the American Indian Movement — to protests against the Keystone XL pipeline and the Dakota Access Pipeline. The bill targets civil disobedience but will not deter environmental terrorism or other illegal actions, the young man said. The committee added more categories of critical infrastructure covered by the proposed law — including schools, city and town infrastructure, police stations and medical facilities, according to remarks Rep. Joe MacGuire (R-Casper) made in the committee. The committee also struck language that included a company’s “economic loss” in a calculation of property damage that could make “impeding” infrastructure a felony rather than a misdemeanor. Other amendments aimed to satisfy the concerns of landowners. The bill faces a tight schedule if it’s to survive the chamber. It will have to pass a reading on each of the first three days of next week to avoid being killed by session deadlines. The heavy amending is reminiscent of last year’s fight over a similar bill, as lawmakers struggled to work it into a form that would not worry rancher lawmakers and others concerned about property rights. Aye votes came from: Reps. MacGuire, Bill Henderson (R-Cheyenne), Danny Eyre (R-Lyman), Don Burkhardt (R-Rawlins), Tom Crank (R-Kemmerer ). No votes came from: House Minerals Committee Chairman Mike Greear (R-Worland) and Reps. Shelly Duncan (R-Lingle), Dan Furphy (R-Laramie) and Bunky Loucks (R-Casper). This story was updated Feb. 1 to include Minerals Committee action on the bill that morning — Ed. So Steve Lundin started a private security company and now wants Wyoming to commit to providing a police force at state expense that will help make his company more successful? That is just the kind of duplicity we would expect from anyone who came away from Standing Rock with a grand plan to profit from similar events. North Dakota faced international infamy and huge costs precisely because they decided to use their police forces to protect a corporation instead of for keeping the peace. The violence at Standing Rock was nearly all perpetrated by private security firm personnel and police. And they perpetrated that violence to protect what was exactly what protestors claimed it was: an illegal construction project proceeding without the necessary permits. Wyoming is being asked to help corporations break the law by defining protesting such illegal actions as a crime. This bill needs a thorough financial impact assessment. What exactly will it cost the state to take sides in a situation like Standing Rock? Making protests illegal is only the beginning. After that, the state has to absorb the costs of jailing, feeding, charging, processing those arrested. Even if, as in North Dakota, the majority of the arrests turn out to be without merit and charges are dropped, Wyoming will have damaged its reputation and its attraction as a tourist destination and stretched its police and legal institutions to the breaking point. The legislature should not simplify this action into just doing a little favor for the oil industry. The bill can have real, awful, expensive repercussions for the state and its budget. What is needed is a well thought out plan for managing a protest if it should occur, a plan that protects basic human and civil rights and protects property. Please note that the corporations did nothing to reimburse North Dakota for all of the expenses of its heavy handed policing. We have property damage laws. We don’t need laws to try to define and control “impeding”.